You can easily add an image background to your site or a specific section with Visual Composer Website Builder for WordPress. Visual Composer comes with a comprehensive list of design tools that allow adding image background, parallax background, slideshow background, and even video. Optional: control background style, position, and other effects. Simple images allow you to upload one or several background images that will be placed on top of each other. For example, you can add several transparent png images to your background and enhance it with parallax effect or gradient overlay. With just a few clicks you can create an awesome background slideshow effect with Slide, Fade or Carousel effects. Showcase your products, portfolio or anything else to catch your customer attention. 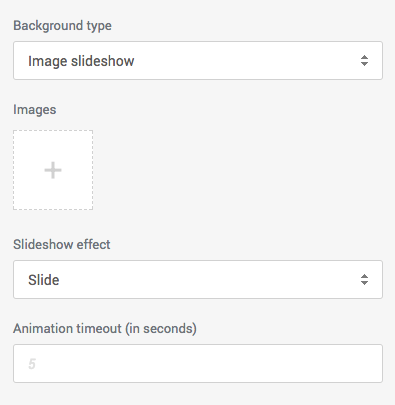 Additional controls will allow you to adjust the speed of the slideshow so you can control the mood of your website from ‘relaxing style’ to ‘action movie’. If you are looking for a simple and light animation for your site background then you should check out zoom in/out effect. Add images to your background and set it to slowly zoom in or out to create a beautiful transition and keep your visitor focused on the content. Note: You can combine any background type with parallax effect or responsive design options for different types of devices.